Today was Josh's last day of school. He went until 12:30 and I picked him up. We got the summer started by seeing Maleficent. We loved it. I am a huge fan of fairy tales and to tell you the truth, I do not remember much from Sleeping Beauty other than Maleficent used to scare me to death. 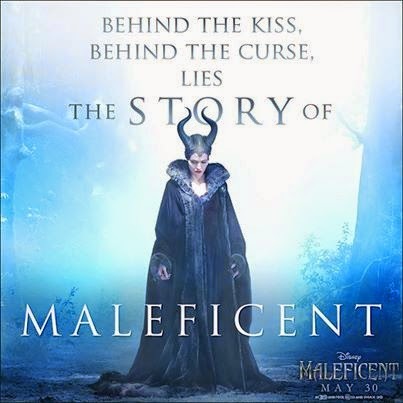 I enjoyed the back story of Maleficent and how the movie progressed. I do not want to say too much in case you want to see it. I think Josh is trying to make plans to go to my parent's house this weekend now. He never stays home. I did laundry today, but other than that the highlight was the movie. Have a great weekend. Here is a meme I found at Toni's who found it on Annie's blog: Annie's Meme 1. Do you recall your first date? Yes 2. What did you do? Where did you go? Did you have a good time? We went to dinner and a movie. It was an ok time. 3. Did you go out with the same person again or was that it? I think that was it. 4. Ever go on a blind date? How did that work out? I did go out on a blind date. We ended up dating for 2 years. 5. What was the best date experience ever? When I was in college I dated a guy that made a total fuss over me. We did not do anything out of the ordinary, but he always made me feel so special and treated me like a lady. The Cardinals and Yankees very seldom get to play one another. It doesn't make any sense. They paid tribute to the World Series these two teams played 50 years ago and they also paid tribute to Yankees Derek Jeter...in his farewell year, he will be greeted in each stadium he plays in this year. The Cardinals gave some money to his charity and some cuff links with the likeness of Stan Musial (Cardinal Hall of Famer). The fans will go crazy for him. Well anyway, it is Memorial Day. This day means a lot of things to me. It is the day we typically decorate the graves of those we have lost, but mostly it is the day we remember our Veterans that were lost fighting for our freedom. I do not know about you, but I am very thankful to live in a country where I am free. Thank-you Veterans! 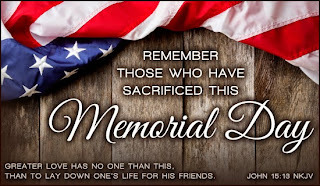 Whatever you are doing to observe this day, be safe and say a prayer for those who have defended us so bravely. Have a great day and Happy Memorial Day! !